The baseball playoffs are in full swing, kids are putting their Halloween costumes together, and people are getting their heavy coats out of storage—winter is almost here, and there’s just enough time to prepare your vehicle for the demanding months ahead. Freezing temperatures demand your car to work extra hard, and icy roads can be dangerous for drivers who haven’t prepared their vehicles. 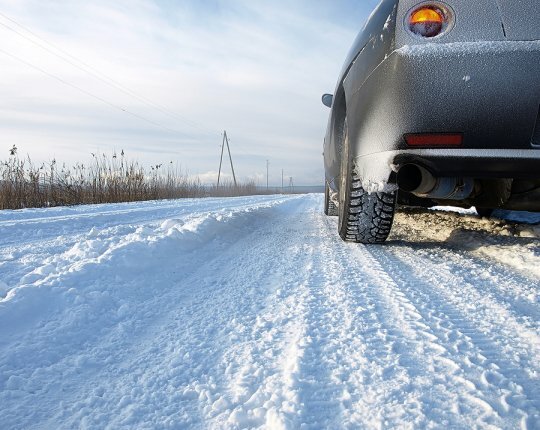 Here are a few car care tips that will give your peace of mind during the winter. You can also visit an auto repair shop in Silver Springs, MD to make sure your vehicle is in tip-top winter shape. Before snow starts to fall in Maryland, inspect your tires for remaining tread and look for signs of uneven wearing and cupping. Also check the sidewalls for cuts and nicks and replace any tires that are noticeably worn or damaged. You should also get in the habit of checking tire pressure at least once a month during the wintertime to keep your car surefooted on the road this winter. Between falling snow and foggy windows, visibility can be a challenge in the winter months. That’s why it’s important that you inspect your car’s lights and bulbs to make sure that you are visible to other drivers and that you can clearly see what’s ahead of you. Replace burned out bulbs and refinish or replace clouded lenses for maximum visibility. Unless you’ve recently gotten an oil change, visit a repair shop and have a mechanic flush the existing oil and replace with fluid designed for cold weather performance. A fully-synthetic winter motor oil will flow well even in low temperatures to keep your engine well lubricated. These are just a few of the important car maintenance services that can get your car ready for winter. If you want total confidence in your vehicle this winter, visit Murray’s Auto Clinic in Silver Springs, MD and let our mechanics give your car a winter tune up. For additional information on our car repair and maintenance services, call us at (240) 450-2478.